The Science in Sport Super Strength Omega 3 has been formulated alongside Team Sky, to deliver optimal levels of EPA and DHA. Lower quality omega 3 supplements often under-dose these two active ingredients. It is well known that there is an inflammatory response to exercise and prolonged, heavy training can cause immunosuppression. Including a daily dose of omega 3 can support in normal immune function both post-exercise and in athlete populations. Omega 3 supplementation may also play a beneficial role in cardiovascular health. 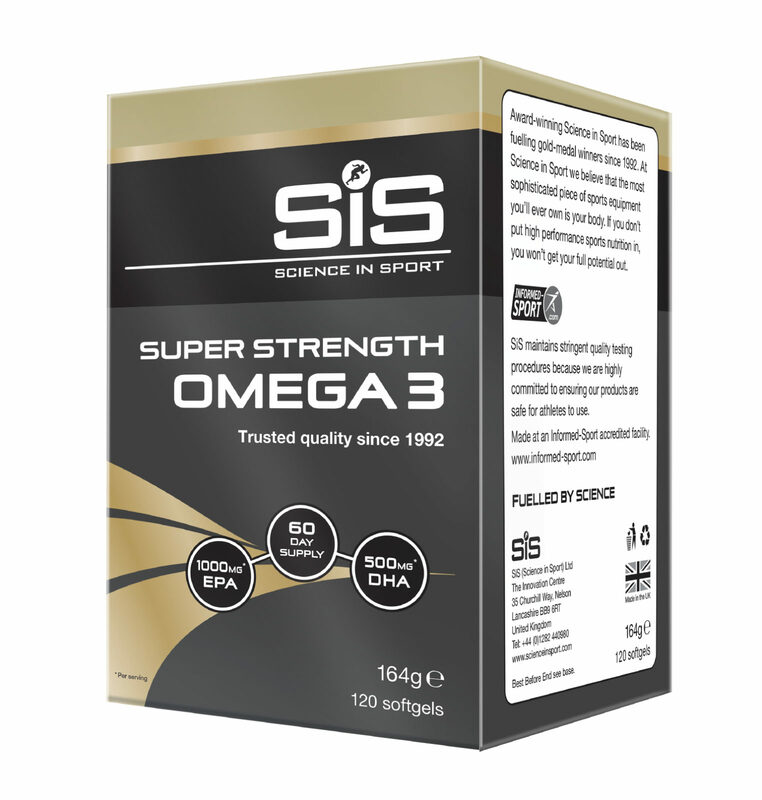 SiS Super Strength Omega 3 is tested under the Informed Sport Certification program. This approach involves testing every single batch of SIS finished product, which leaves the Company’s factory, screened against the 2018 World Anti-Doping Agency (WADA) list.